In this interview, co-founder of the Women's History Museum, Samba Yonga, says that we need to discard the history we're holding onto as Africans. Most of it was never ours to begin with. In January, Zambian playwright Mulenga Kapwepwe staged a Bemba-language musical in Lusaka based on her father's book Shalapo Chanichandala. When Kapwepwe's friend, the Zambian journalist Samba Yonga saw it, she was transfixed. For Yonga, the theatrical experience which told the story of the time between Zambia's colonization and mass urbanization was captivating. The colors, music and the lived experiences of the Zambian people during the 50s were brought to life in a manner that for Yonga, wasn't overshadowed by the arrival of the colonists. Instead, it centered Zambians. It spoke volumes to the narratives which had been cast aside, erased and forgotten. For Yonga, the play shared the same source of Afrocentric inspiration as the Women's History Museum, an ongoing project between the two friends. Begun in 2016, the museum has largely been a digital archive thus far but will soon be be housed in the Lusaka National Museum in Zambia. 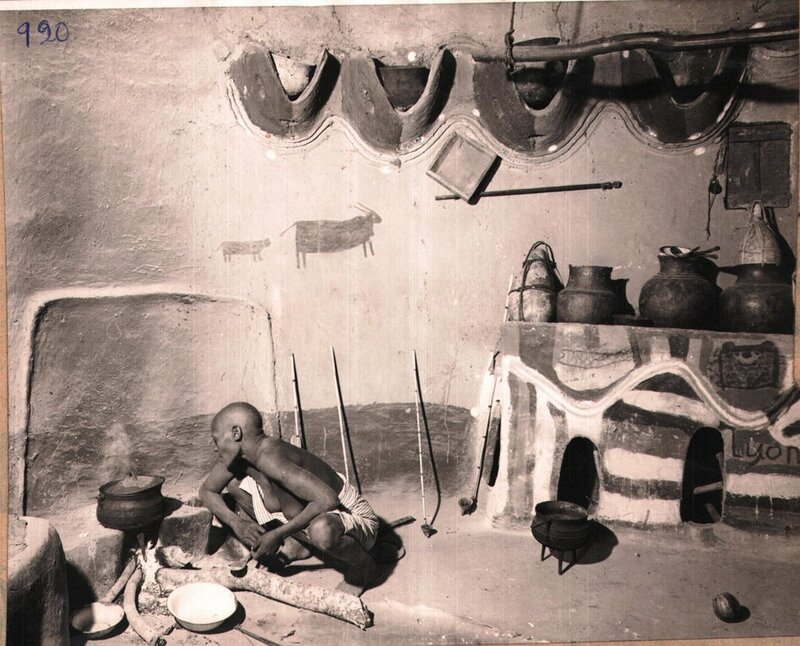 A large collection of historical artifacts that both Yonga and Kapwepwe have been collecting over the years, will occupy the second floor of Zambia's national museum. We sat down with Samba Yonga to find out how the Women's History Museum is challenging mainstream narratives which will ultimately change the way Africans see themselves. The Women's History Museum is a digital archive from the colonial and post-colonial period. How are these eras important in remembering history through an African lens rather than a Western one? The audios were donated by Basler Afrika which is a Swiss African institution of knowledge. Over the years, they have been collecting information, documentation and doing research. There are 5000 audio recordings of interviews from before colonialism and just before Zambia was declared independent. These are all broadcast recordings of activities that took place before and after that time. There are documents of all the things that were happening such as reformations in the different provinces, be it education, agriculture, economics or infrastructure. The idea would be to ultimately have a studio booth where people can come and listen to these stories and use that as a reference point for that time. Have you been met with any resistance in terms of the Women's History Museum and how it holds an Afrocentric view of its own narratives? Not yet. But I'm sure it's coming. However, where we did meet resistance is one of the first projects that we did as the women's history museum was to actually partner with Wikipedia for the Wiki Gap. It was spearheaded by a Swedish embassy here [Zambia], and also in Pretoria, South. So the idea behind Wiki Gap was because of a report saying that out of every 5 articles on Wikipedia, four of them are about men. Their idea was to reduce that gap and document more stories about women. I didn't realize how complicated it was though. You are fighting against a huge system of western knowledge that says, if you write a story about something, they won't believe that it's true, because there's no physical book with a reference or an ISBN number. This is a huge problem for Africa and African narratives, because obviously, our stories do not have ISBN numbers. Oral tradition is a mainstay in Africa, and for the longest time, that's how we've passed down our knowledge. Do you think the West looks down on that as a historical source? Absolutely. There are Wikipedia scholars, scholars from the West, actually deleting whole articles because to them as long as it's not documented, it has no sources, it's not a story, it's an anecdote. To them, it's not real. It's something that really needs to be addressed because western knowledge is not the only system of knowledge that exists. "When the colonists came in, women leaders existed side by side with male leaders and a lot of power was situated in the women." Colonialism has played out very differently in a lot of African countries. Looking at Christianity, colonialism and patriarchal structures, what do you think is unique about Zambia's narrative? Yeah, I think patriarchy has done a number on Zambians in a lot of ways. I mean, one of them is the whole Christianity, because it came with colonialists. And Christianity's now so entrenched in our culture. It's almost like a part of us, you know. It's like, nothing else has ever existed. One of the things that I find fascinating, is that Africans are often, in the narrative or in the discourse of gender equality, criticized for being abusive and discriminatory and abusing women—which is true. I mean, all of that is happening. But if you think of the genesis of it, you know, it came with patriarchy. When the colonists came in, women leaders existed side by side with male leaders and a lot of power was situated in the women. But when the colonists came, they didn't allow women as leaders. Now we no longer address the woman. We just address the man. That's a colonial legacy we think is ours. 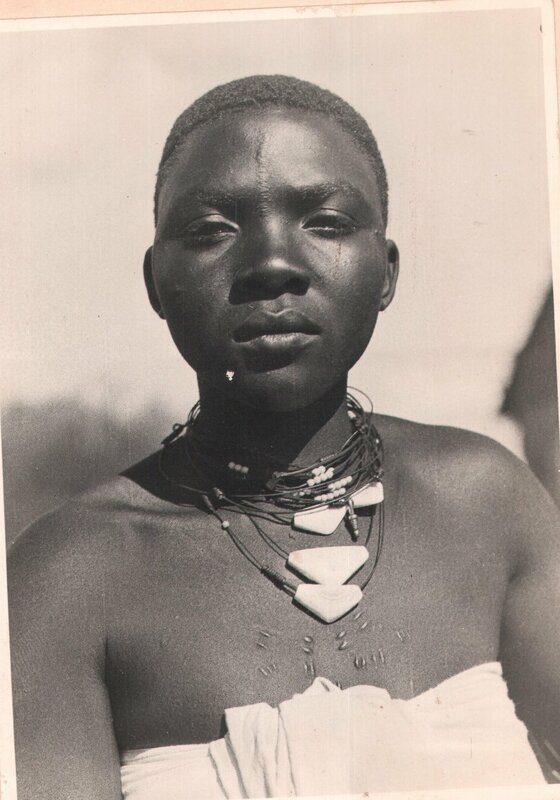 How is the Women's History Museum looking to invest in the knowledge of the pre-colonial era and debunking the myth that without the colonizers, Africa would have remained primitive? The Leading Ladies podcast series is pre-colonial knowledge. And to the argument of us being primitive, the West was also very primitive before industrialization and technology. So it's the same. It's the evolution of cultures that happens. But the West catapulted their own civilization and erased ours instead. And then dominated us. If you think of the likes of the libraries of Timbuktu, the civilization of Benin, and all those cultures in Egypt that started irrigation a long time ago, there's all that knowledge which has been erased from our memory. The West has taken that knowledge as its own. What we're saying is that our own knowledge and western knowledge can co-exist side-by-side. One is not lesser than the other; it still adds value. What inspired the 'characters' of the Leading Ladies podcast series ? I thought the women or "leading ladies" we were looking at actually reflected very contemporary leadership roles. And I thought for us to bring it into the future, what we needed to do was actually give them archetypes. Give them archetypes and use that to bust the myth that women can't be governors of state, power-brokers or important innovators. We've heard all those kind of sweeping generalizations before. This was a way to bust that myth using archetypes with references from actual lived history. 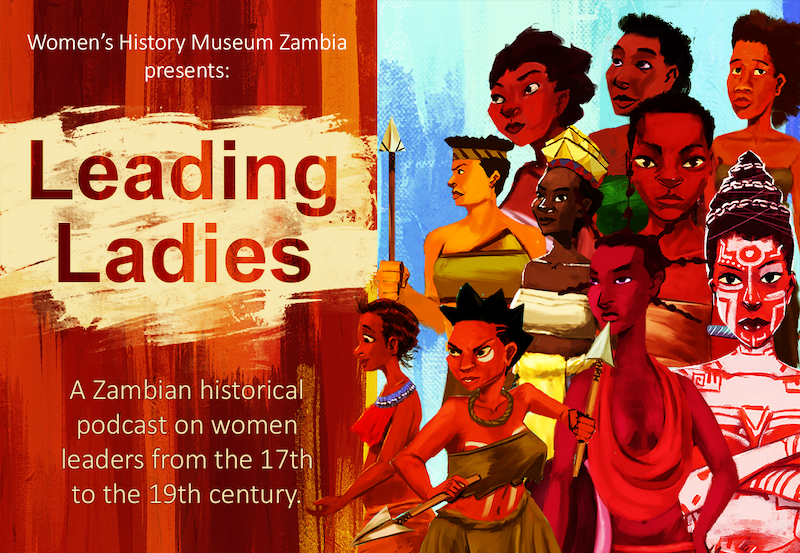 READ: 'Leading Ladies' is a Zambian historical podcast on influential women who lived between the 17th and 19th century. In terms of sustainability, what is the intention behind the podcast series? The idea is hopefully a ton of African podcasts. Hopefully ours will spark the interest to do a series across Africa. That will be the hope, yeah. We want the podcast series to be our flagship content that we can replicate across the continent and partner with other, whether it's media houses, whether it's cultural institutions and the like. We have a lot of other projects coming up as well that will continue. This is something that's bigger than any one person, bigger than you and Mulenga. Given that, what would you say is your biggest hope for this museum in its entirety? There are many things. Hopefully, I think in the biggest picture, is that we then start recognizing and legitimizing African knowledge as indigenous knowledge as well as valuable information and education that contributes to the development and the enhancement of Africa and even on a global level. African ideas have been taken from Africa and they are now on a global scale but we don't really acknowledge them as African.